Murphy Holloway was already in town when Globalport played Rain or Shine in its opener but the Batang Pier opted to field in Jabril Trawick. 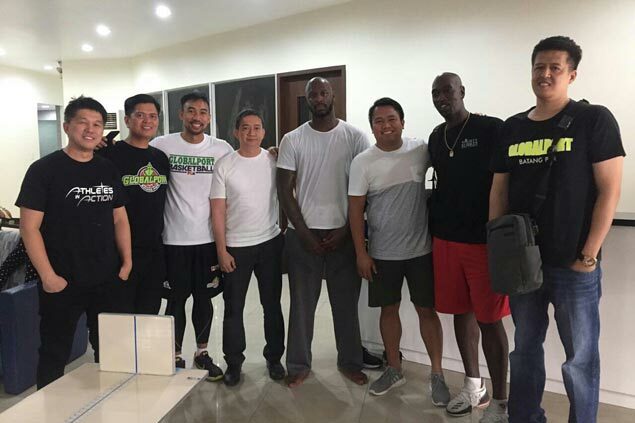 LESS than 24 hours after losing its opening game in the PBA Governors Cup, Globalport is bringing in an import which the team hopes would fit its needs. The Batang Pier are parading original choice Murphy Holloway as their new import when they return to action on Wednesday against the Phoenix Fuel Masters as he takes over from former Georgetown wingman Jabril Trawick. Murphy is a 27 years old from Immo, South Carolina. He came in at 6-foot-4 13/16 when officially measured at the PBA Office on Saturday in the presence of Globalport coaching staff,team manager Bonnie Tan and alternate board of governor Eric Arejola. He was already in town when the Batang Pier played Rain or Shine Friday night, but the team opted to field in Trawick instead in the game they lost on two free throws by Raymond Almazan in the endgame, 98-96. Trawick fouled out midway in the fourth quarter and finished with three points and four rebounds. Coach Franz Pumaren later confirmed a new import is coming in to replace Trawick, a former Hoya teammate of TnT Katropa import Joshua Smith.